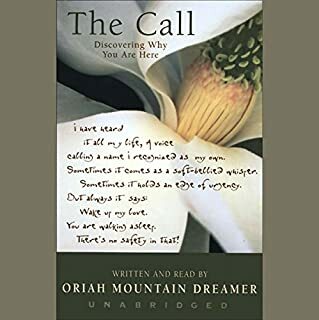 With her trademark practical style, Oriah Mountain Dreamer gently guides us through her journey to find and heed her own call. What she discovered is that to be fully human is consciously to be who we truly are. By joining Oriah on this path, we may find the way to live awake to our distinct essence. The key is to give up striving to become who we think we should be and to embrace our true self, imperfections and all. 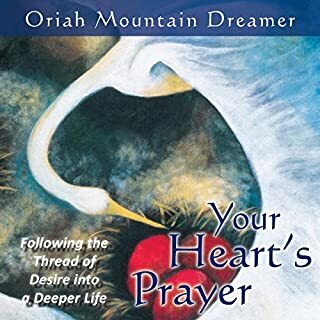 In Your Heart's Prayer, Oriah Mountain Dreamer takes you on an inspirational journey into the soul's desires, bringing a new vision to what it is that matters most. Addressing a lack of fulfillment felt all too commonly in our culture today, Oriah draws from her training in the tradition of shamanic medicine to show you how to recognize ­ and respond to your soul's true calling. 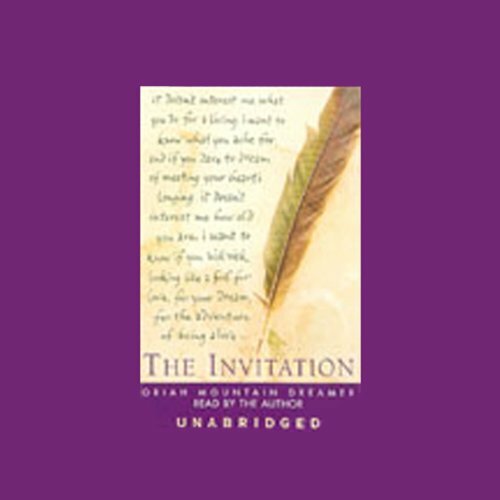 Visionary author Oriah Mountain Dreamer brings to life the wisdom of her beloved The Invitation, the prose poem which has touched hearts everywhere with its fresh and spirited call to live life more passionately and honestly. 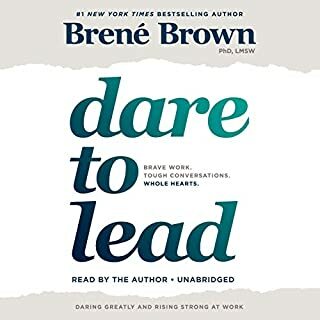 Speaking from the heart, she invites you to confront the varieties of human experience, from desire and commitment to sorrow and betrayal, and challenges you to open repeatedly to love and life. 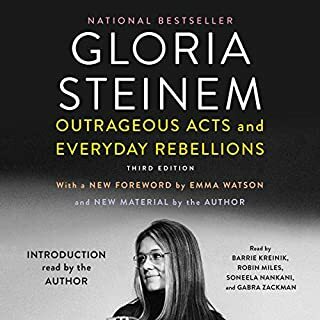 Unique, practical, and often surprising, The Invitation is an invaluable guide to living the ecstasy of everyday life, learning to recognize true beauty in yourself and the world, and finding the sustenance your spirit longs for. Would you listen to The Invitation again? Why? Yes. 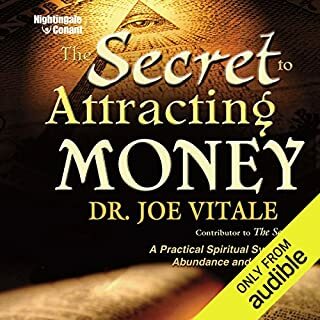 I have listen to the book daily and learn something new each day. It say a lot about life and how we should go with the flow of life. Hits my all-time favorites list. A perfectly well written book about what it means to exist as a very aware human. 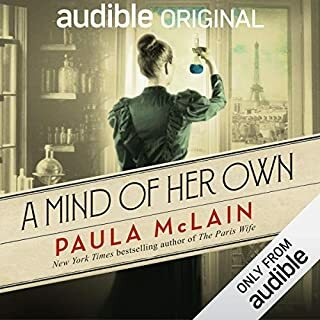 Colorful and descriptive articulation about being connected to and accepting of the internal and external limits while transcending beyond them. Wonderful, wonderful book. I popped this on while I was doing my work at home. I was listening however not intently to be honest (I intend to go back and listen properly again). As the time progressed and the stories unfolded, I found myself suddenly bursting into tears and sobbing very deeply. It felt to me that the story had pushed up something I had locked away, what exactly I am really not too sure, but I don't think that matters. I think the unwavering compassionate humanity in every word that Oriah speaks manages to coax out of us what we have shut away and given freedom of expression it is healed. That was a very unexpected outcome for me and I am thankful for this work and for my inner wisdom which knew to choose it.